Maria Espinosa should not have survived the 1679 cholera epidemic in Mexico City that killed her parents, already reeling from the loss of their fortune, nor should she have survived an Apache raid on the caravan transporting her to a sister in remote Santa Fe, in the royal colony of New Mexico. Rejected by her sister because she is penniless, Maria struggles to stay alive in a society unaware of impending disaster. A charismatic Tewa Indian named Pop is determined to drive the hated European overlords from the land. Maria's refuge is no refuge at all. When Maria is taken in by a Spanish ranching family living uneasily among the Pueblo Indians, her beauty and spirit inspire a rivalry between two brothers--one a Spaniard, the other half-Indian. 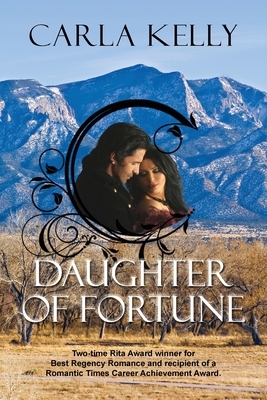 Will she find security and purpose in this harsh land only to lose her heart? In the midst of personal turmoil, Maria discovers a rare talent in this colony of believers. She learns how to carve discarded branches and tree stumps into statues of saints. She also learns the larger lesson: that grace can transform an object of little value into a masterpiece. But trouble lies ahead. Maria can reveal the saint buried in a block of wood. What mysteries lie deep within her own heart?